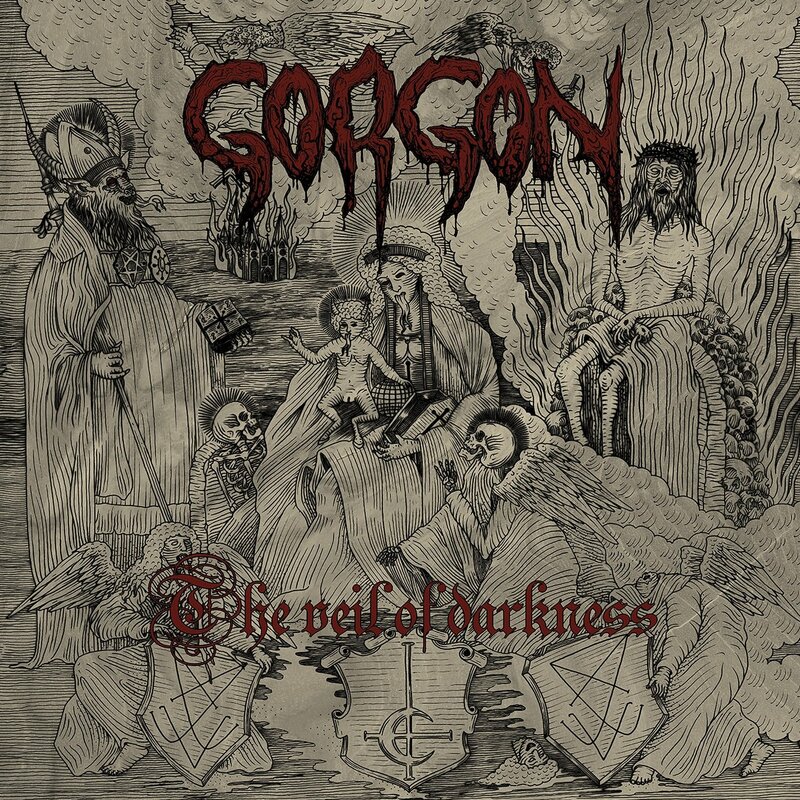 Osmose Productions sets January 25th, 2019 as the international release date for the long-awaited comeback album of France’s Gorgon, The Veil of Darkness, on CD, vinyl LP, and cassette tape formats. Gorgon was formed in 1991 in the south of France by Chris (guitar/vocals). The band, a pioneer of black metal in its country, with different lineups played two gigs in 1992 and released its unique and classic studio four-track demo tape Call From Unknown Depths. In 1993, an Italian label published their three-song EP Immortal Horde, the very first EP for a French black metal band. The band played gigs with Mercyless, No Return, and Samael. During Gorgon’s show, the latter Swiss band notices their second guitarist at this period, who will join Samael later. Gorgon played as headliner in Italy with Opera IX in 1994 and recorded their first album, The Lady Rides a Black Horse, which was released on CD in 1995 with lyrics about Satanism, witchcraft, and dark topics. Reign of Obscenity, the second studio album, was released in 1996, and published as tape version the next year by a Slovakian label. Rougher and more melodic, it contains the same subjects in the lyrics. Containing an interactive CD-rom part (including clips, photos, translation of lyrics, bio, and so on), a thing rather rare for a underground band at this time, The Jackal Pact is the next album in 1998. The fourth album was released in 2000. Called The Spectral Voices, it included bagpipes on two songs and lyrics were more war-influenced. After more than 30 gigs, hundreds of reviews and interviews worldwide in mags and zines, 10 appearances on international CD compilations, and more than 30 international compilation tapes from underground labels and distributors, Gorgon stopped its activities in 2001. A reissue of the first album on CD format was made in 2010 by a English label with bonus tracks and new artwork; a Malaysian label released a cassette version in 1997, and in 2017, a Mexican label released a vinyl version. In 2011, out came a split CD with the band O.T.A.L. released by three French labels. The Gorgon section was composed of unreleased songs, alternate mixes, and cover songs. The same year, a CD compilation titled Evoking the Ancient Forces of Gorgon is out on a Mexican label. 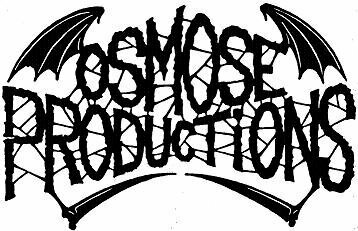 After years of silence, Chris decided to compose new songs and joined Osmose’s legions at the end of 2017. A few months later, two French labels have reissued the 1992 demo on vinyl format. With its new blackest album recorded during the summer months of 2018 and featuring original member Chris as primary instrumentalist and also utilizing a session drummer, 2019 will be the year of Gorgon’s triumphant return.